Major attractions visit in Gangtok. Visit social & religious structures in West Sikkim – Pelling – epicenter of historical events. Insights into only Tea Garden – Temi – Visit Garden and Factory. Prominent attraction & sights that are synonymous with Darjeeling. In Sikkim & Darjeeling, Mt Kanchenjunga loom ahead as a permanent fixture in the sky, it’s an intersection of divinity, history and living off the land. Under its watchful eyes, over the time, many cultures and legacies thrived – A progression that started with being settlers’ carving out lives as shepherds and farmers to the vibrant present day contemporary culture. This special edition trip examines closely history of this progression enveloping in its fold-varied aspects such as assorted living culture and tradition, natural landscapes, remnant of historical legacies in visible form such as monasteries, UNESCO Toy train, quaint and medieval Churches and some modern days attractions and sights too. It commences from Gangtok – a youthful capital, it’s marked with some young as well as archaic sights and attractions that resonate with saga of old days charms and present. And also excursion to highly revered Tsomgo Lake. After that the trip pursue the road to the west – Pelling is epicenter of Sikkim’s historical events. 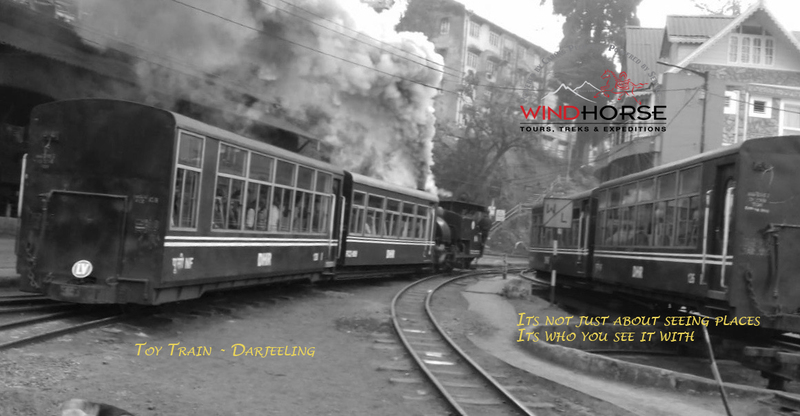 After that the focus shifts readily to the hill town of Darjeeling – there is more to Darjeeling than synonymous Darjeeling Tea and UNESCO toy Train. It is laced with some beautiful monasteries, Colonial Architectures and also some interesting contemporary attractions. Upon arrival at Bagdogra/NJP meet our representative and drive to Gangtok. On arrival, it’s likely that we will have time only for some leisurely walk in the iconic MG Marg pedestrian boulevard and visit the nearby Lal Bazar. Overnight in Gangtok. After breakfast, visit Flower Exhibition Centre, which displays a wide array of Himalayan Orchids and other plants. Drive to visit Enchey monastery – affiliated to Nyingmapa order. On the way back visit Hanuman and Ganesh Tok and also take a brief stop at Tashi View Point for astounding views below. Visit Directorate of Handicraft and Handloom – it houses workshops for carpet weaving, Back strap loom, Bamboo craft, Painting school followed by a museum and handicraft sale emporium. Post lunch, visit Namgyal Institute of Tibetology – a treasure trove for finest Tibetan works, religious iconography and religious art and walk to the nearby Do Drul Chorten – a massive Stupa that sits amidst 108 prayer wheels. Overnight in Gangtok. Drive along the Kyongnosla Alpine Sanctuary with Rhododendron and other alpine trees to Tsomgo lake(3753mts.). The lake surface reflects different colours with change of seasons and is greatly revered by the Sikkimese people. This lake is generally covered in snow for most of the year and is a habitat for the red pandas and numerous rare species of migratory birds. After the visit we retrace our drive back to Gangtok. Overnight in Gangtok. Drive to the opposite ridge of Gangtok to Rumtek. Rumtek houses the Rumtek Monastery (Dharma Charkra Centre), the seat of the 16th Gyalwa Karmapa, head of the Karma Kagyu school of Tibetan Buddhism. Following the visit proceed towards Temi Tea Garden, the only tea garden in the state of Sikkim producing world class organic tea. In Temi visit the tea factory, observe the tea picker’s in action and interact with them. In the evening visit the local village, interact with the locals and learn about their daily life. Overnight in Temi Tea Garden. After breakfast drive to Pelling. The drive is quite scenic through lush green forest and winding mountain roads. On the way visit the Buddha Park at Ravangla. 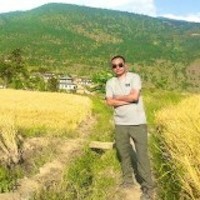 Following the visit continue to Pelling. Upon arrival check into the hotel and take a short break and later hike to the famous Pemayangtse Monastery, followed by a visit to the ruins of Rabdentse, the second capital of the erstwhile Kingdom of Sikkim. Overnight in Pelling. After breakfast drive through scenic route with several waterfalls like the Rimbi waterfalls, Kanchanjunga waterfalls to Khecheopalri lake. This lake despite being located amidst dense forest no leaves can be seen afloat on the lake surface. Take a leisurely walk on the bank of the lake and also visit the small monastery. After the visit we retrace our drive back to Pelling and later we will take a short hike to Sangacholing monastery. Overnight in Pelling. Retrace our drive back and cross the border to West Bengal and climb uphill towards Darjeeling, the drive gets scenic with lush green vegetation, tea gardens and interesting roadside villages. Upon arrival in Darjeeling, a leisurely walk in pedestrian Chowrastra mall and vibrant market nearby can be a perfect antidote for physical stiffness arising out of drive. Overnight in Darjeeling. After breakfast, visit Himalayan Mountaineering Institute, Padmaja Naidu Himalayan Zoological Park and the Tibetan Self-help centre, it’s emporium boast of highest quality Tibetan handicrafts. World famous tea is synonymous with Darjeeling so we will visit a tea estate on the way back. In the afternoon visit the Japanese Peace Pagoda and the beautiful Dali monastery – affiliated to Kagyupa sect. After the visit we have free time to explore around. Option is also available to take a joy ride on a toy train . Overnight in Darjeeling. After breakfast, transfer to the airport/railway station for your onward journey. Trip AccommodationBest available 3 and 4 star hotels. Trip SeasonsAll the year round, best from March to May and from Sept. to November. Starting from USD$ 720 however, it depends on travel date, number of members, hotels etc. Please contact us for details. • Meals as per the meal plan. I first discovered Wind Horse Travel when I booked a Bhutan trip. A companion and I planned a trip that took us from one end of the country to the other, over challenging but very beautiful topography, literally, in some places, to the very end of the road. We were impressed by the way our interests were accommodated, and, despite the remote areas visited, how very easily the trip went. 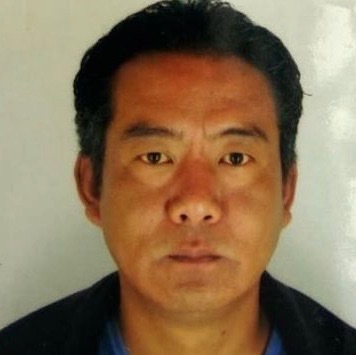 This being the case, when I was planning a trip to Sikkim and Assam in November 2017, and saw that Wind Horse organized treks in Sikkim; I immediately contacted them to see if they were interested in planning. 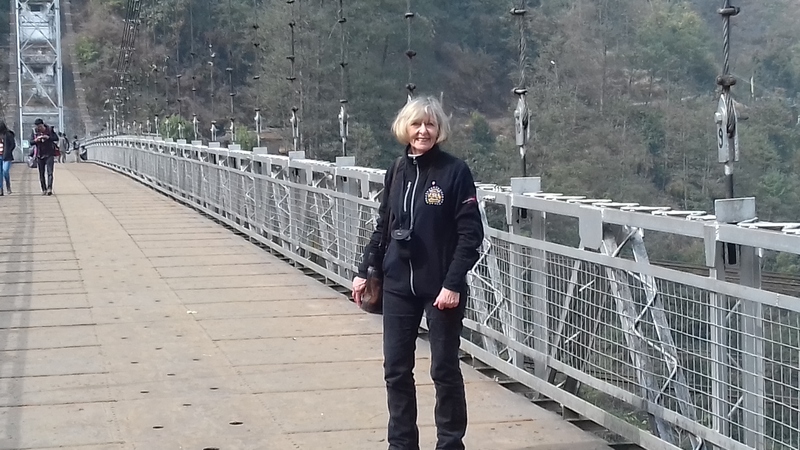 a trip for a single little old lady traveller whose days of advanced trekking were long over, but who still retained a strong interest in adventure travel, in venturing to places less visited, and in exploring the arts and culture of the people who live there. Wind Horse was up to the challenge, creating an itinerary full of diverse experiences that exactly fit my interests. It was an amazing trip through the tribal areas of the Kashi Hills in Megalaya, the festival on Majuli Island, and the tribal areas of the Garo Hills and the Festival of One Hundred Drums in Meghalaya, then on to Sikkim. It was the experience of a lifetime, as, thanks to my guide, Anand I was able to talk to people from all walks of life, getting an understanding of the cultures and peoples that make up these fascinating areas of India. It was such an exciting and stimulating trip that I returned 2 months later to explore the rest of Sikkim. I have just returned from 3 weeks spent in Sikkim this February 2018, and am still excited about the wonderful experiences that I had exploring the farthest regions of this fascinating state. These 3 trips that I have taken with wind Horse were exceptional, as they were exactly tailored to my interests. I find Wind Horse an excellent company, one which listens to their clients' needs, and then goes way beyond expectation to ensure that the client is satisfied. As a Canadian, I also appreciated the 1-800 number that serves all of North America. When planning a trip, it is so much better to be able to talk to a company representative, one who listens carefully and is able to answer your questions and offer suggestions.